> You are already familiar with meditation and want to deepen your understanding while cultivating a daily home based meditation practice with an online sangha (community). 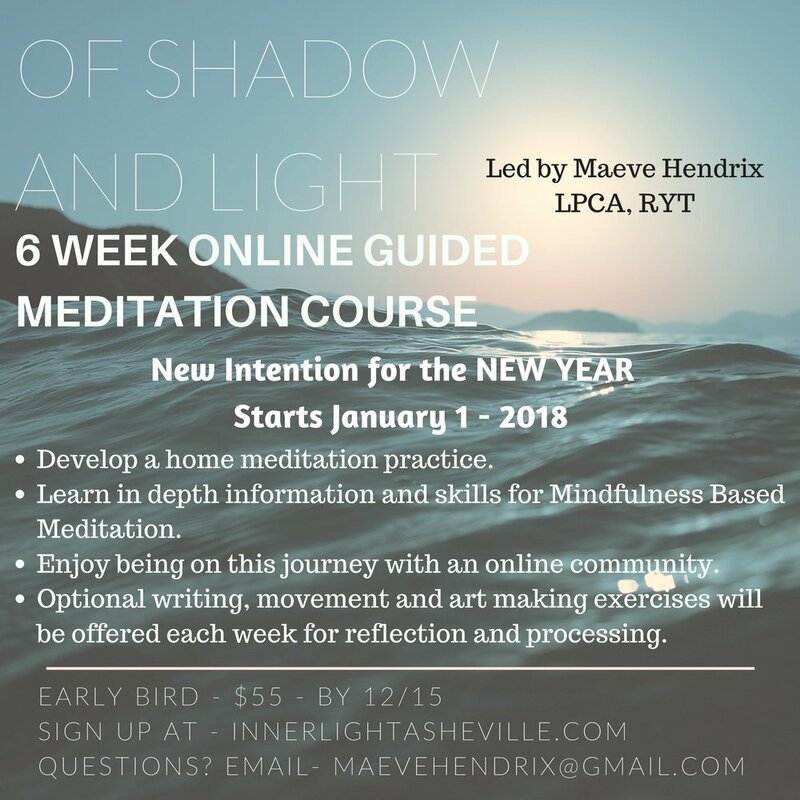 Maeve is offering a 6 week in-depth guided online meditation course beginning January 1st for the New Year. 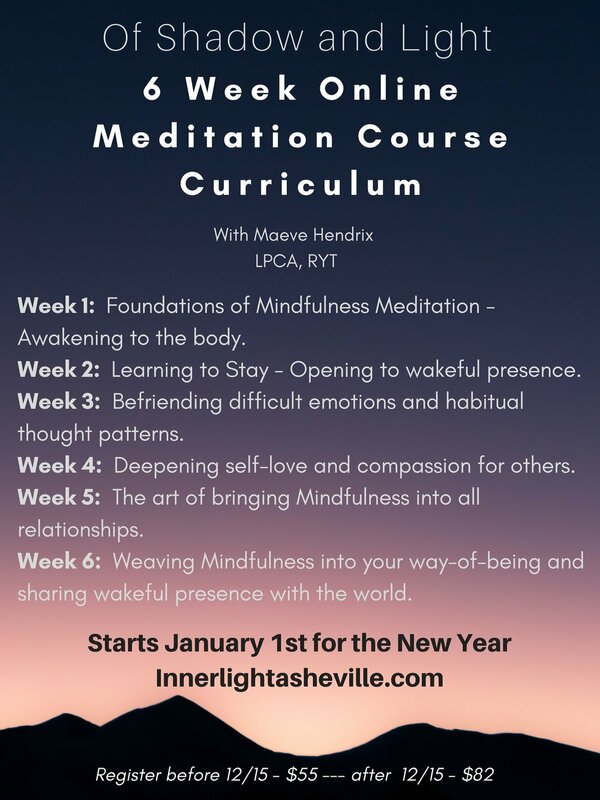 The course will provide weekly guided mindfulness-based meditations paired with useful information on Mindfulness-Based Meditation and weekly integration exercises that include writing, movement and art making. Maeve has extensive background in teaching yoga and meditation, holds a Masters Degree in Clinical Mental Health Counseling and is a License Professional Counselor Associate. Her heart is deeply connected to Somatic and Expressive Arts Therapy, which she has been offering individually and in groups for the last few years. Maeve is inspired by the therapeutic magic that occurs during the synthesis of meditation, somatic therapy and art making. Students have reported experiencing fundamental shifts in their life as a result of developing a consistent home meditation practice including, empowerment, clarity, resilience, contentment, and compassion. Maeve is dedicated to offering accessible courses that offer effective guidance for individuals to discover their innate wisdom and their ability to develop a home practice. Enjoy being on this journey with an online community. Have access to Maeve's audio guided meditations and informational videos for as long as you want. They are yours to keep and continue practicing with! 40+ days of consecutive meditation practice to allow the practice to settle in as a new, beneficial habit.